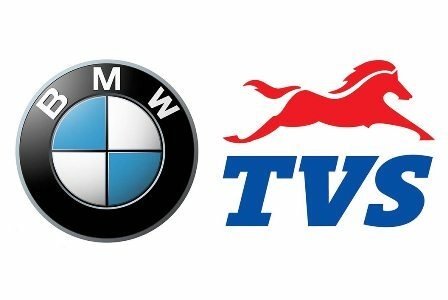 Two-wheeler arm of German luxury automotive major, BMW Motorrad has entered into an agreement with India's fourth largest two-wheeler maker, TVS Motor Co to jointly develop motor bikes in India. The two companies are planning to offer `Made in India' bikes in the below 500 CC segment. BMW has already signed the long term joint technical co-operation and manufacturing agreement with the Indian two-wheeler major based in Hosur, near Bangalore. BMW currently offers models in 600 to 1600 cc segment while TVS is selling models in sub-250 cc segment. The bikes manufactured jointly by the partnership will be produced in two variants. The first variant will be branded with BMW and will be sold both in Indian and global markets by BMW and the other variant will be branded with TVS signage and will also be sold in the Indian market and other international markets by the Indian company. The two companies have indicated that the models form the joint-collaboration will be launched only in 2015 and the development work will be carried out at TVS's facilities in Hosur or Mysore in south India. Experts said that the partnership will allow TVS to gain cutting edge technology form the German partner, which will enable it to develop new platforms and compete better with the likes of Hero MotoCorp, Bajaj, Honda, Yamaha and Suzuki in the Indian market and beyond.